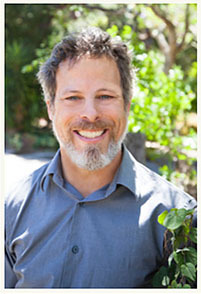 David Goldeen's initial massage training took place at the renowned Esalen Institute in Big Sur, California. He came to realize that although massage therapy is a helpful tool for stress-reduction and mild pain relief, the benefits are only temporary. Massage techniques do little to alleviate the chronic pain conditions that he encounters within his clients. When introduced to the John Barnes Approach to Myofascial Release, David recognized that the therapeutic techniques of MFR went far beyond massage and traditional physical therapies. MFR Therapy produces sustainable pain relief, promoting recovery from injuries, scar tissue and chronic holding patterns. David has helped countless individuals out of chronic pain and onto a road of recovery. David is currently teaching classes for professionals interested in integrating MFR into their practice. Open to MT's, PT's, DO's, OT's, MD's, L. Ac's, RN's, LVN's, PA's and other health and wellness care practitioners interested in offering more to their clients and patients. As Approved by NCBTMB, "Goldeen MFR Teaching Series" classes apply toward continuing education credits for those health care providers who's licensing requires it. Goldeen MFR Teaching Series is expanding to offer week long and weekend workshops at locations throughout the Western States, through massage training schools or as sponsored workshops. For more information about sponsoring a class series please contact Goldeen MFR at the "My MFR Event" page. Massage School administrators please visit the Admin Page to learn more about MFR classes for your institution.